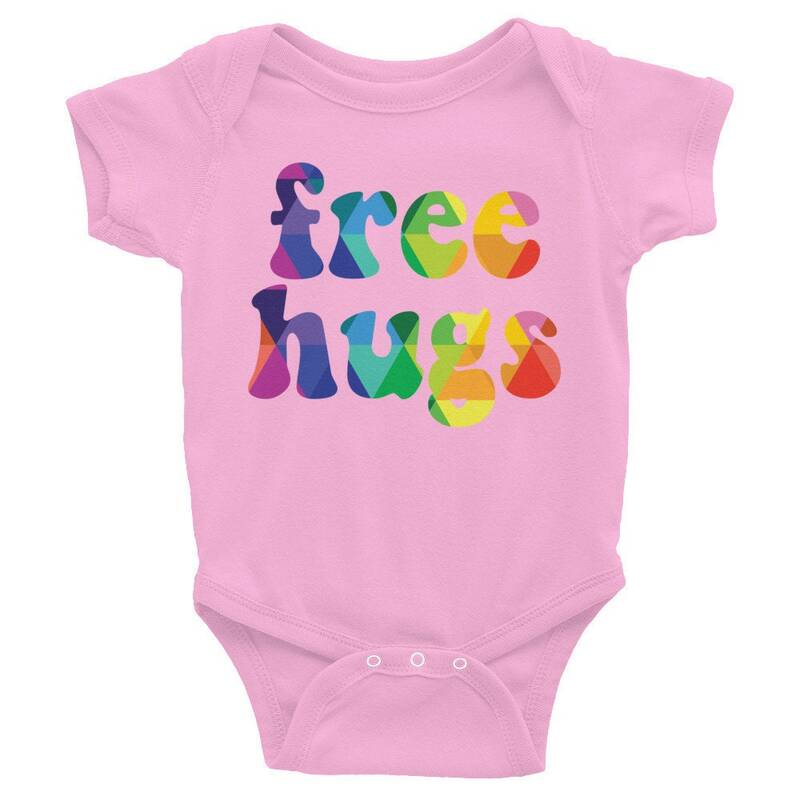 This free hugs baby snapsuit is super comfy and needs a good home. 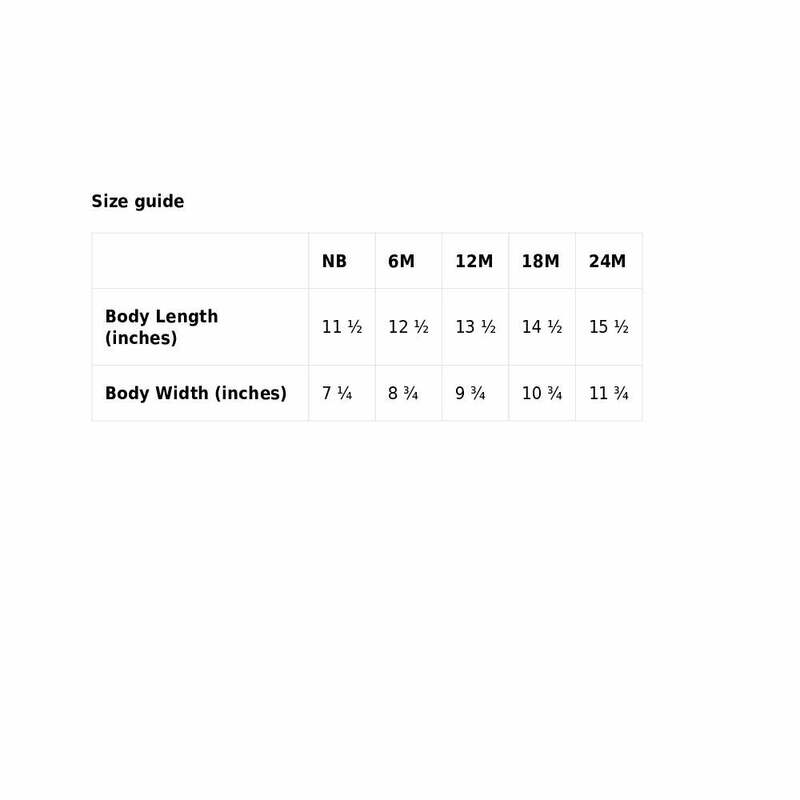 It is a unique custom shirt design for people who want peace, love and happiness in the world. Show off your babies stylish self with this multi-colored triangle pattern inside of funny type. 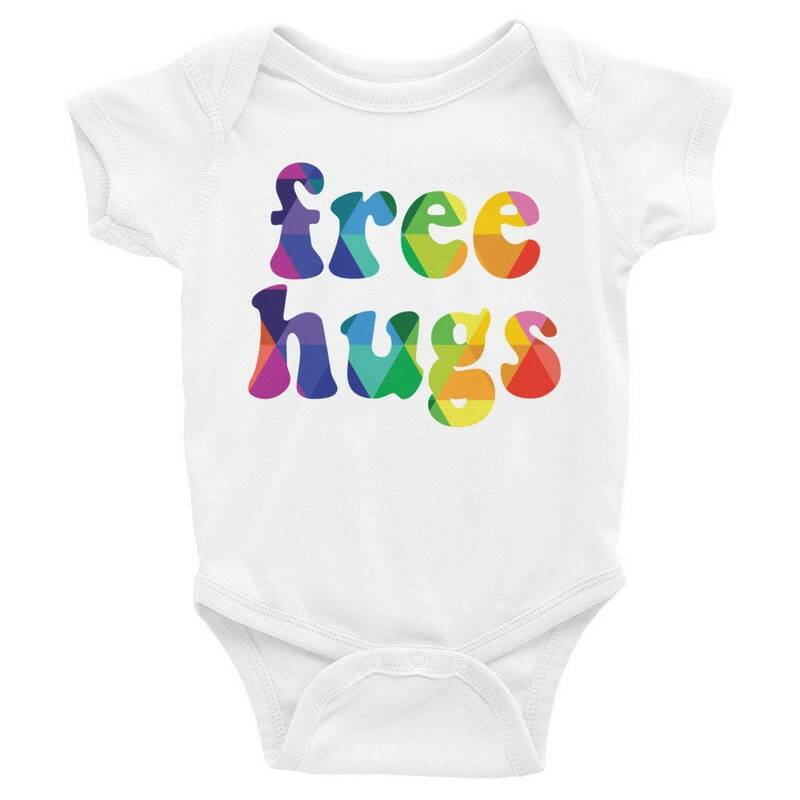 You will not find this colorful fashionable one-of-a-kind free hugs infant bodysuit anywhere else. Is your friend's baby, family members little one or your coworkers munchkin in need of some color in their life? 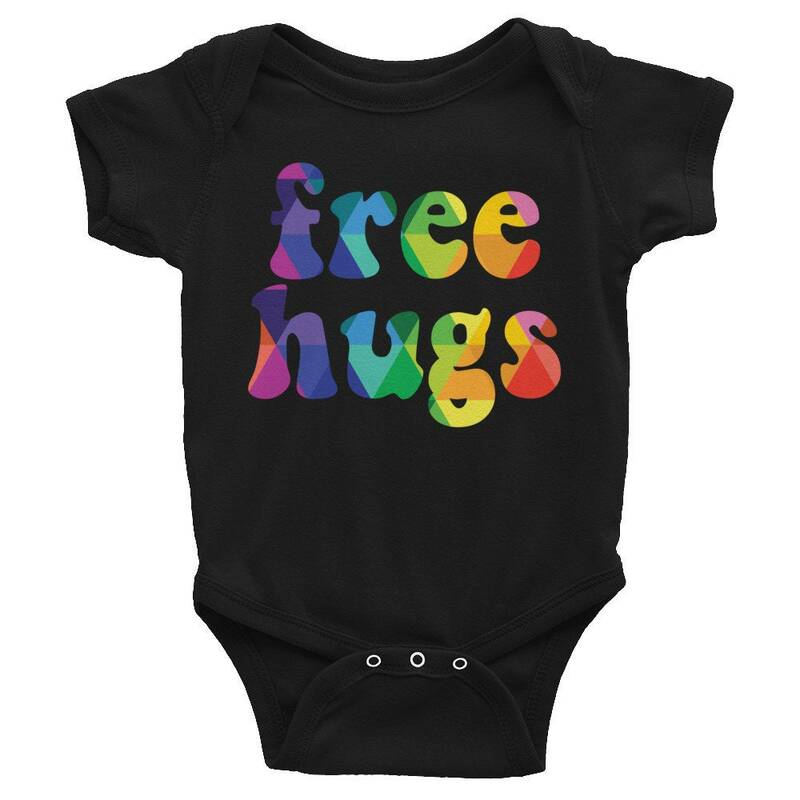 This rad free hugs bodysuit is the PERFECT gift for them. Or just buy this one-piece for your baby, they deserve it.